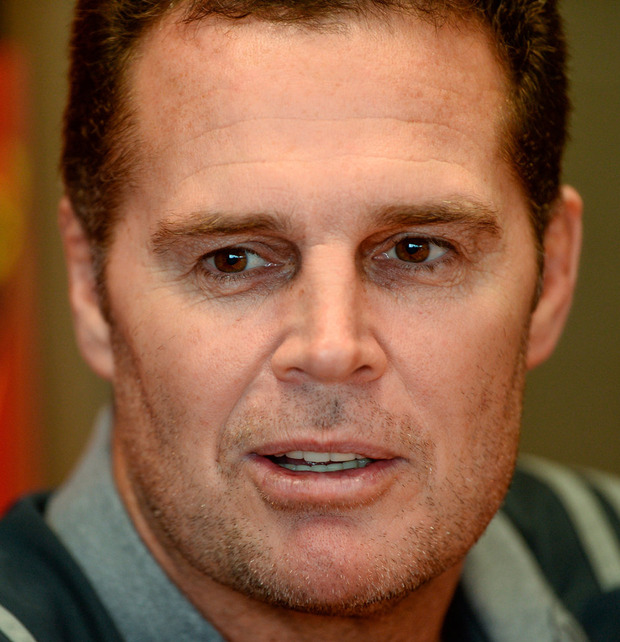 While Rassie Erasmus was playing out his final days as Munster boss in late 2017, he oversaw a bit of business that would possibly not only have long-term benefits for the Irish province but also consequences for the job that awaited him in his native land. The names Keynan Knox and Matt Moore may mean little to many in Irish sport, or even some within Irish rugby, but their significance carried a little more weight in their former homeland. Both are South African-born teenagers who, depending on their progress, will declare that their international future lies with their adopted home. They arrived in Ireland in 2017, meaning they would potentially be able to complete a three-year residency period as it would have pre-dated World Rugby's regulation extension to five years. The effect of their recruitment in Munster and Irish terms has already been debated wildly; Munster stressed that it wasn't the instigation of a pattern, rather a once-off (or, rather, 'twice-off') occurrence, easing fears that local players were somehow being usurped. Erasmus' successor, Johann van Graan, declared at the time: "These two young players have been brought in before I came to Munster, but it has been a thorough process. I think the important thing for Munster is to look at the home-grown players first." It may yet prove to be a smart piece of business, if one chooses to ignore a strictly parochial prism. But when Erasmus returned to his native land, first as director of rugby, then as national coach, he discovered to his cost, and now at first hand, just how the latest loss of native talent was contributing to the ongoing decline of the sport in South Africa. Munster didn't break any rules; now Erasmus has realised that he would need to make some of his own. Hence last week, he announced a range of measures which he hopes will prevent established stars leaving but also protect emerging players who they hope would remain at home with a viable pathway towards international recognition. In the case of Ireland, this would have included players such as Richardt Strauss, Quinn Roux and CJ Stander, who left in order to order to pursue an alternative international career here, never mind those like Ruan Pienaar, CJ van der Linde and Jaco Taute, to name just three, who had already played international rugby. "Players will be ranked by position - with next generation talent also brought into a significantly widened pool - and those who are plying their trade in South Africa will receive top-up payments from their provinces - funded by SA Rugby," said Erasmus. And he has also scrapped the 30-cap rule for overseas players as well as rigorously enforcing existing regulations requiring the release of overseas players. It may have come too late to prevent the re-affirmation of another South African yesterday, with Ulster confirming the signing of Gareth Milasinovich. At least he did so via Worcester; he is also 26 and is Irish-qualified via an Irish grandfather, Norman McFarland, who just happened to play for Ulster too. The point is that Erasmus had to act as Ireland are not alone in exploiting the economic, social and sporting advantages many perceive do not exist in South Africa. Australia and New Zealand experience their own issues too, but the crisis is most acute in terms of Springbok rugby, once a supreme world power and, aside from the All Blacks, the only country to win more than one World Cup. The player drain stems from a variety of different reasons; CJ Stander, infamously, was deemed too small and hence could see no career progression. Others, like Strauss, have spoken of how they feel safer abroad, a reason cited by former World Player of the Year Bryan Habana recently. At the last count, over 350 South Africans ply their trade overseas in 11 different countries; remarkably, over 75 have played for another international side. Five have played for Ireland and there are ten South Africa-born players in the four PRO 14 squads but the number has been as high as 21; that may reduce in years to come but perhaps not as quickly as Erasmus would like. For, as he admits, a Springbok can earn more for a two-month Japanese jolly than winning a World Cup. To quote a former American president, the reasons behind the player drain remain startlingly simple. It's the economy, stupid.